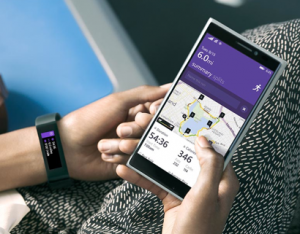 Microsoft just announced their Microsoft Band, which, like the Fitbit isn’t a watch replacement, just an activity tracker. After seeing all that Apple promised on their Apple Watch, the only reason that I can see someone buy this is if they use a non-Apple phone and want some sort of fitness tracker that isn’t Fitbit. 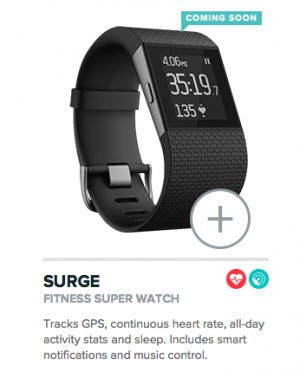 Fitbit, on the other hand has also joined the second wave of fitness bands with their Charge HR and Surge HR. The Surge is actually a watch in addition to all the other fitness tracking it does, but it’s still about as ugly as… well as ugly as a Casio. THAT is what the second wave (and even Samsung’s Gear Fit, which I consider part of the first wave) doesn’t get about this. We are WEARING this thing. EVERY FREAKIN’ DAY!!! It NEEDS to be beautiful because we LOOK at it SEVERAL times every day. If it’s not beautiful, we aren’t going to wear it, no matter how many heart rate monitors and GPS trackers you put on it. That’s part of what Fitbit got right the first time. Because the Fitbit had interchangeable bands, we were able to at least coordinate them with our outfits. We could change their appearance so that we didn’t get so sick of the slim plastic sitting on our arms next to our watches. But even now, after almost a year of looking at the thing, I’m SICK of it. I’m SICK of the ugly plastic and I REFUSE to pay TWO HUNDRED BUCKS for a Tory Burch bracelet to make it prettier. 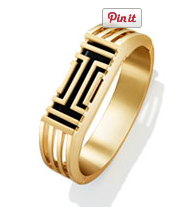 That Tory Burch bracelet is more expensive than the Fitbit itself. WHY would I do that?! When Apple offers me so many design choices and even a way to change the face of my watch to display the data I want, why would I buy the Surge HR or the Microsoft Band? It all boils down to cost. The Apple Watch is rumored to start at $349, which is a full one hundred dollars more than the others. All of us are worried that the beautiful watch we have our hearts set upon is the NOT the lowest one on the market, so we’ll have to pay even MORE. Is the Apple Watch worth that much more? Especially if you already own a Fitbit? I don’t know about you, but I have been waiting for a beautiful watch that was digital and had countdown alarms and dual time and showed the day and date on the front screen. WAITING for years for this watch, so the fact that Fitbit has upped their game and Microsoft has jumped into the pool doesn’t change my opinion. I want BEAUTIFUL and I’m willing to pay the extra one hundred dollars and wait the extra few months to get it.